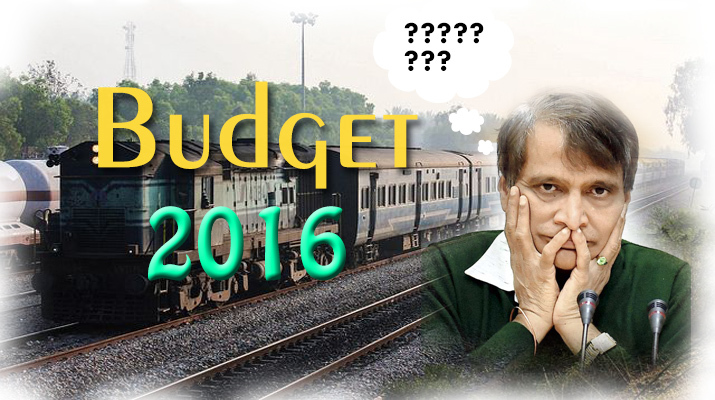 The Railways Budget 2016-17 focused on completion of ongoing projects rather than announcing new ones. It focused on generation of revenues through non-tariff sources like advertising, export of railways equipment and commercial exploitation of railways land. Passenger fares remain the same. Mr Suresh Prabhu’s announcements included boosting e-catering, connectivity to North-Eastern states and providing Wi-Fi services to the stations. The budget aims to provide passenger amenities and beautify of stations at pilgrimage centers. The stations included under this list are Ajmer, Amritsar, Bihar Sharif, Chengannur, Dwarka, Gaya, Haridwar, Mathura, Nagapattinam, Nanded, Nasik, Pali, Parasnath, Puri, Tirupati, Vailankanni, Varanasi and Vasco. Railways also plans to start Aastha circuit trains to connect important pilgrim centers across India. Indian Railways plans to lay 7 km of track every day in 2016-17 as against an average of 4.3 km per day laid for the last six years. The drive will gain further pace in 2017-18 when 13 km of rails will be laid each day. Laying new tracks, replacing old ones and doubling and tripling of lines are essential to clear the traffic bottlenecks. In order to expand the freight traffic, three new Dedicated Fright Corridors (DFC) projects are under way. 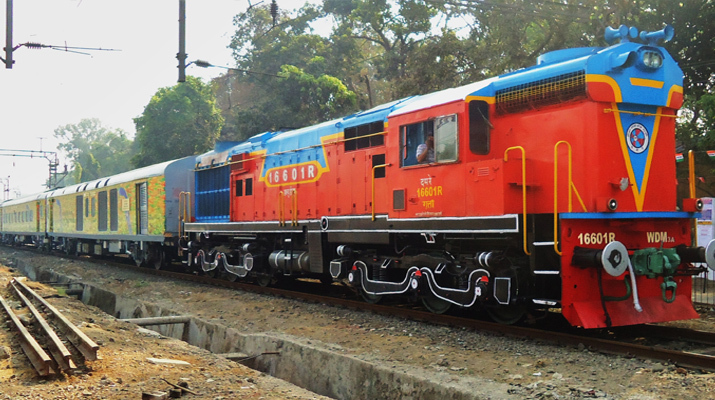 The North-South DFC will connect Delhi to Chennai, while the East-West DFC will connect Kharagpur to Mumbai and the East Coast DFC will connect Kharagpur to Vijayawada. Work is ongoing on the Western and Eastern DFC and the Western corridor is funded by Japan and the Eastern corridor is funded by World Bank and these are planned to be completed by 2019. Indian Railways, intents to bring new technology to the country with the introduction of Mumbai-Ahmedabad high speed corridor. Delhi Ring Railways to be revived in partnership with the Delhi Government. Elevated rail corridor between Churchgate to Virar and CST to Panvel in Mumbai are also in the list of upcoming projects. Railways also plan the use Drones to remotely monitor ongoing projects. The minister announced 33% sub-quota for women in all reserved categories on trains. In addition the middle bay in each coach will be reserve for women to enhance security. Moreover 24x7 helpline number will be setup specifically for women travelling with kids. India’s, first proposed rail-auto hub to be set up near Chennai. This would help companies, to save up to 25% on logistics. Rail auto hub is a facility where in vehicles could be parked and transported from one place to another through rail. According to the proposed plan around 5000 cars can be parked at a time and 300 cars can be moved in a rail rake. Walajabad Station would be developed as the first auto rail hub station on the Indian Railways as it is situated in the center of the major automobile hub near Kancheepuram district manufacturing Hyundai, Nissan, Hyundai, Ford and DaimlerChrysle cars. Phase 1 of the hub – the auto-carrying train will be ready next month and Phase 2 will be completed in the next four months. The Budget strives to fulfill the long term goals of the common man by 2020 by introducing high end technology to introduce safety, timetabled freighted trains,unmanned level crossings, zero direct discharge of human waste, improve punctuality and average train speeds. Planning To Celebrate Holi In Mathura And Vrindavan – Download Railways App Today! Indian Railways Announces Holi Special Trains for 2016 to Tackle the Festival Rush. For India’s Fastest Train, Railways Will Fence Entire Route Costing Around Rs 70 Cr. IRCTC App - Official Railways App For All Your Ticketing Needs. Narendar Modi Flags offMahamana Express – ASuperfast Train Connecting Varanasi and Delhi with Modernize Luxurious Coaches.